American Alarm Corp. provides a complete line of residential built-in vacuum systems and components with the highest cleaning power, convenience and indoor air quality at a fair price to the homeowner. 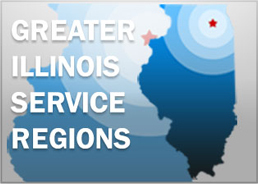 We are dedicated to being leader’s in service innovation, responsiveness, product reliability and support. Keeping today’s hi-tech, energy efficient home clean and healthy takes powerful performance and better technology. Our team of professionals installs high quality Dirt Devil® Pro Series® Central Vacuum Systems that provide quiet operation for convenient, whole-house cleaning. 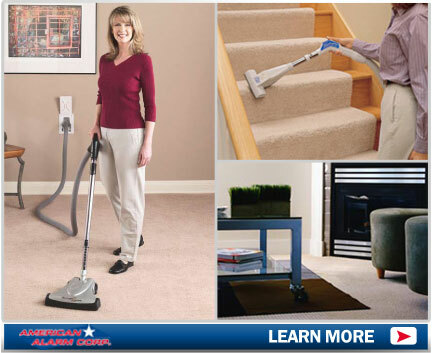 Our powerful central vacuum performance and cleaning versatility are designed for today’s homes and furnishings. The Dirt Devil® System works by transporting dirt, debris and dust particles through a simple network of tubing that runs through the walls to the power unit. The in-wall tubing is easily installed during construction or added to an existing home. Installation is usually completed in less than one day, with no structural modifications to the home. Experience the exceptional power and cleaning versatility with a wide range of cleaning kits, accessories and powerheads. Specifically designed for today’s home furnishings, these accessories can clean all interior surfaces - hard- surface flooring (wood, tile, marble, vinyl), all types of carpets and rugs, walls, ceilings, draperies, upholstery and much more! How safe, clean and pure is the air is in your home? Most people take their home’s air for granted and assume it is safe, clean and breathable. Yet indoor air can be more polluted than outdoor air, due to today’s more tightly sealed housing construction, synthetic building materials and furnishings, and chemically formulated household products. Most people spend 90% of their time indoors. Poor indoor air quality can impact health, safety and comfort – especially in children and the elderly. Dirt Devil® features Cyclonic Filtration Technology® (CFT™) is a dual filtration process that removes 100% of the vacuumed dirt, dust and allergens, so you can live in a healthier home with cleaner indoor air.